When does GearGods.net collect my personal information? You may provide personal information to GearGods.net in one of three ways: (1) by sharing personal information when you post comments on our posts or stories, (2) by sharing personal information when you provide tips to our news and editorial departments, or (3) by sharing contact information when you choose to opt-in to participate in sweepstakes, surveys, contests or competitions. We may also ask for other information at other times, but at no time will you be required to share any personal information to gain complete access to our site. In addition to personal information — which may include, but is not limited to, your name, street and e-mail addresses, and telephone numbers — we may also collect information that is in no way personally identifiable. This may include your internet protocol (IP) addresses, the operating system you are working on, the internet browser you are using, the domain name of your internet service provider, and the web sites you visit directly before and after your visit to GearGods.net. Why does GearGods.net use my personal information? The more we know about you, the better we are able to customize our web site to suit your personal preferences and interests. 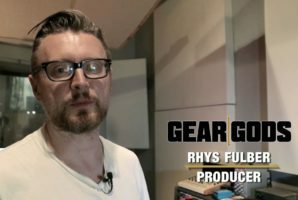 The e-mail address you provide may be used by GearGods.net for any reason, such as contacting you for editorial purposes. How does GearGods.net use my personal information? Information about your visit to GearGods.net, such as number of times you have viewed an ad (but not your name, address, or other personal information), is used to serve ads to you on this site. And, in the course of serving advertisements to this site, third party advertisers may place or recognize a unique cookie on your browser. Third parties and web sites that have links on our site may also collect or use information about you. The information practices of other companies or people that GearGods.net does not employ or manage are not covered by this privacy statement. Is there anything else I should know about my privacy and GearGods.net?